With the open-source-release of the first album “TODAY IS SUNDAY” on WM Recordings in 2008 MeanwhileProject.Ltd first started as a one-man-project. In the last three years the album was spread over the internet and reached about 30.000 listeners all over the world where it found general approval. The production of the JOEY BURNS EP and the forthcoming album took place with the support of Music Producer Hannes Jackl from AMPERSAND and features musicians and singers from the bands SCHMACKES UND PINSCHER, MOUTH, LUNATIC SKYDANCE and THE LO-FI FAIR. The release of the new album THE JUDAS HOLE (including 10 brand-new tracks) will follow later in 2011. With the interlude “Earwalk” the EP contains another track of the new album. 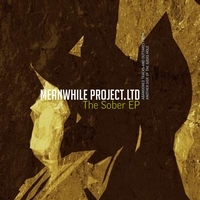 The Sober EP by Meanwhileproject.ltd is licensed under a Creative Commons Attribution-Noncommercial-Share Alike 3.0 Netherlands License.